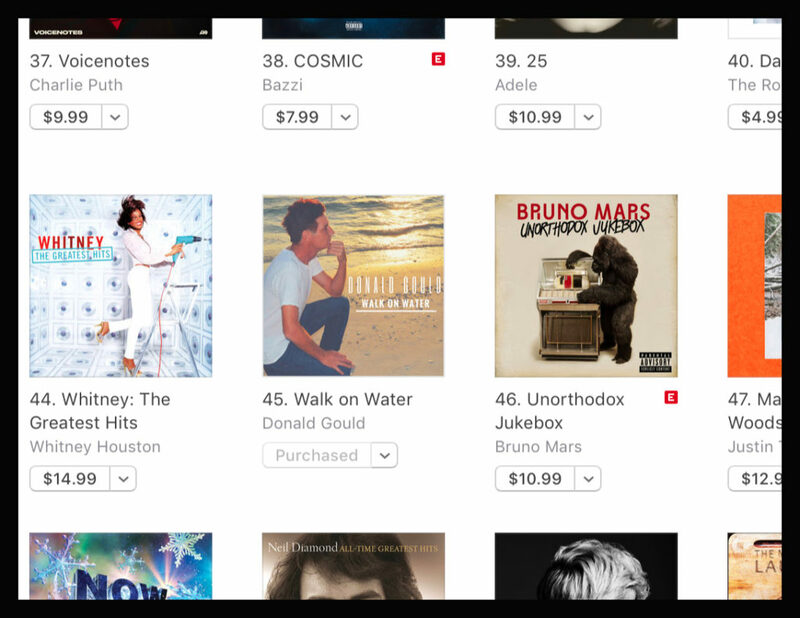 As of October 10th, 2018, Donald Gould’s debut album Walk on Water is up again to #45 on the iTunes Pop Album Chart, next to hit albums by Bruno Mars and Adele. 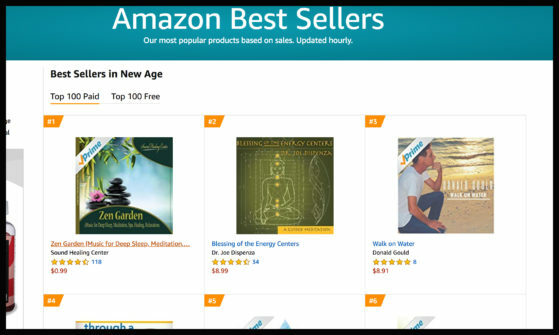 Walk on Water also reached #3 on Amazon‘s New Age Chart. Walk on Water is available exclusively from Triple Pop on Bandcamp and all other digital services: iTunes, Apple Music, and Spotify. The viral YouTube video of Mr. Gould has now reached 40 million views and his life story continues to resonate with people worldwide.